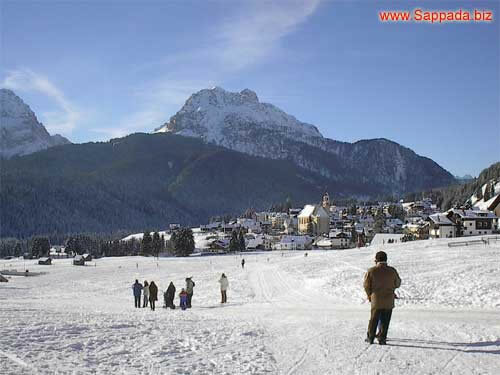 Sappada offers to winter sports fans a real choice of activities to enjoy - snowmobiling, snowboarding and both cross country and alpine skiing to all the skier willing to take the time to visit this spectacular corner of the dolomites. 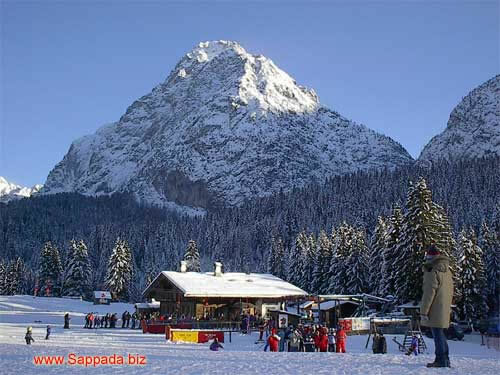 Alpine skiing - Nordic skiing - winter mountaineering - Snow-shoe trekking - Motor - sled tours Sonw -board Sleigh dogs - Horse drawn sleighs - Toboggan. 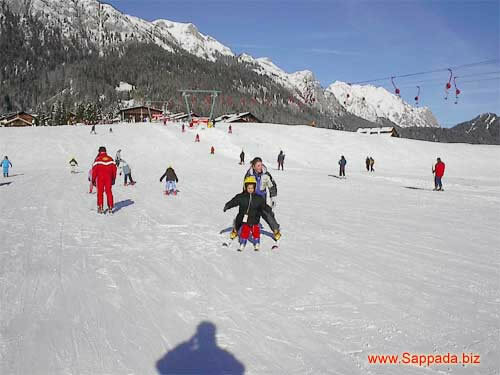 The highly recommended ski/snowboard school of Sappada is famous for the high quality tuition and experienced ski instructors. 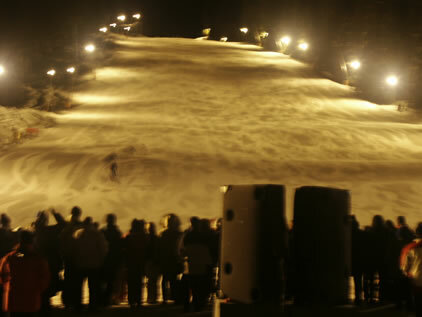 It is providing the best possible start for beginners. 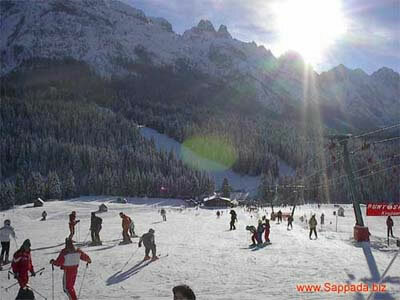 The school is situated on the ski slopes for beginners "campetti" In few days, the beginners will enjoy the higher pistes of Sappada. 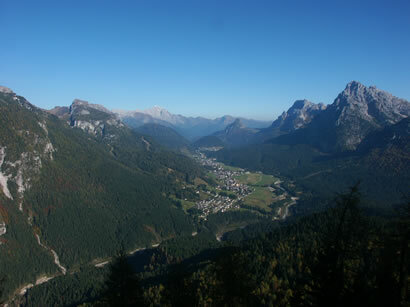 Sappada offers a wonderful corss-country route developing at the South of the town for about 15 km passing by alle the villages from Lerpa to the Cima. Sappada westerly spurs.